A Kratos Defense and Security Solutions subsidiary has produced a ground-based satellite communications architecture for military personnel to manage the Wideband Global SATCOM payload. 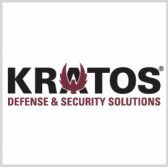 The company said Tuesday Kratos RT Logic delivered virtual machine-based software to replace a legacy command-and-control technology for the Boeing-led Global SATCOM Configuration Control Element Evolution program. Boeing’s defense, space and security segment is the prime contractor on the WGS system. RT Logic provided 40 front end processors and 40 gateways designed to monitor up to 14 WGS satellites from five operation facilities built to support 28 separate C2 missions. Frank Backes, vice president of business development at Kratos RT Logic, said the delivered products will support the U.S. Air Force‘s Space Enterprise Vision and Enterprise Space Battle Management Command and Control system. The company integrated its information assurance assets with a virtual machine technology to produce C2 system that will work to address Defense Department mission requirements.